A bathroom is not merely a room where you take bath and groom yourself; it is in fact one of the most important rooms in the house where you can unwind, relax, and spend some quiet moments. Homeowners invest a huge amount of money on building or renovating their bathrooms, as it not only makes their bathrooms more functional, but also increases the value of their properties. By installing some of the latest, functional, and advanced fixtures and tiles, you can enhance the look and utility of your bathroom. One of the vastly accepted bathroom fixtures includes shower screens in Sydney. Developers in Australia are realizing an array of benefits of shower screens that go beyond boosting property value and relaxation. 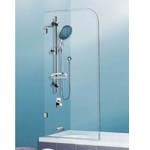 Due to their aesthetic appeal and usefulness, shower screens are quickly replacing shower curtains in Sydney. As compared to shower curtains, the screens are more durable, hygienic, and appealing. Shower screens have become a trend from a design prospect. 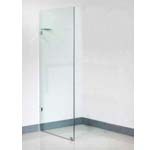 Glass shower screens, if installed in a small bathroom, create the illusion of space. They make a small bathroom look large and spacious. 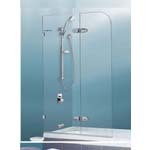 You can install shower screens over the bath to make the maximum use of the available space. Thus, you can use your bath for bathing as well as showering. 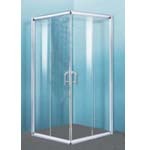 One of the biggest benefits of installing shower screens Sydney is that it helps in keeping the bathroom dry and clean. Kids often play while showering; they splash the water all around, this makes having shower screens quite helpful. The screens restrict the water to the showering area, thus, keeping the rest of the bathroom clean. 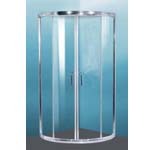 This is especially useful in small bathrooms where toilet suites are near the shower and there is less ventilation. By keeping the bathroom dry, you can avoid various problems that arise due to damp bathroom such as termite, mold, etc. 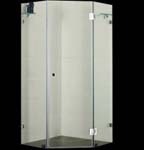 Because of being available in beautiful design patterns, colors, and glasses, the shower screens Sydney add a different touch to your bathroom. If installed properly, the shower screens last for long and elevate the design of your bathroom. Sydney Bathroom Supply is a reputed manufacturer, importer, and distributor of kitchen and bathroom products in Sydney. We have offices in Minchinbury, Granville, and Ashfield. We offer quality products such as bathroom mirrors, bathtubs, spa baths, vanities, toilets, kitchen sinks, shaving cabinets, shower screens Sydney, and various other bathroom and kitchen accessories. 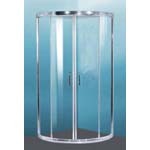 Whether you need fixed bath screens or foldable bathtub screens, we stock a variety of glass shower screens in Sydney. You can buy framed shower screens, frameless, or semi-framed screens, we have all of them in oval, square, diamond, and corner shapes. 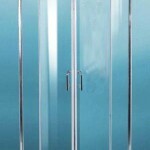 These screens come in different sizes and with sliding or pivot doors. 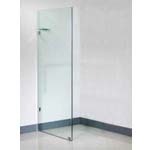 All our shower screens Sydney are made of quality, toughened glass. With our extensive experience and nearly 10 years existence in the industry, we strive to offer the best in terms of quality and price. We have a huge inventory, which we keep on updating, thus giving you a reason to visit us repeatedly. With extensive variety, we offer a wide choice to our customers and offer them the most enjoyable shopping experience. We offer quality products at the most affordable prices. If you are not able to find what you need, we offer you customized products according to you specific requirements. For any information, call us at 02 9675 6885. Our efficient customer support team relies to all your queries promptly and values your satisfaction.